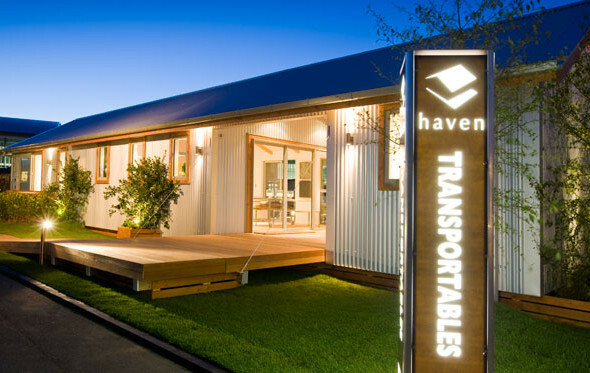 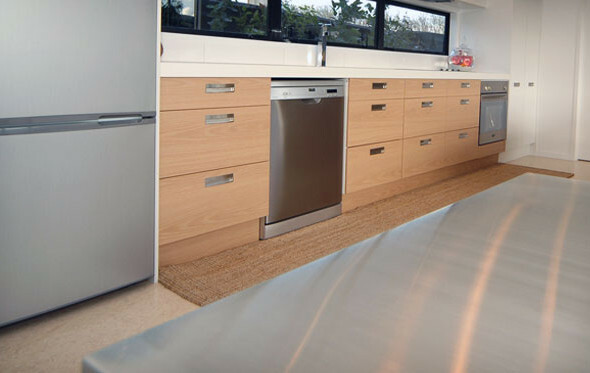 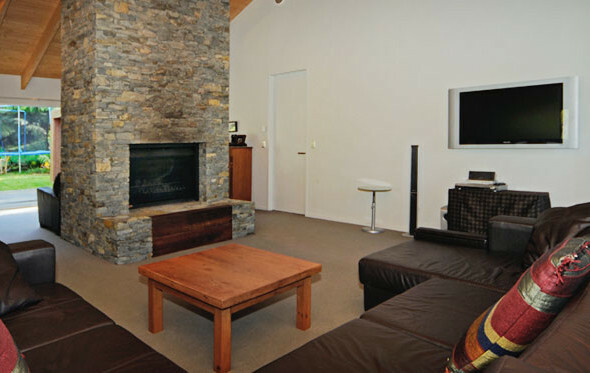 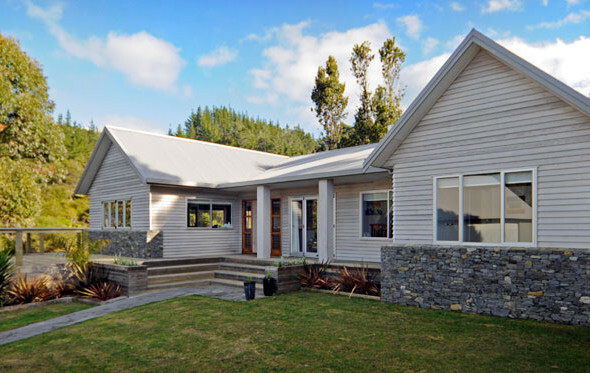 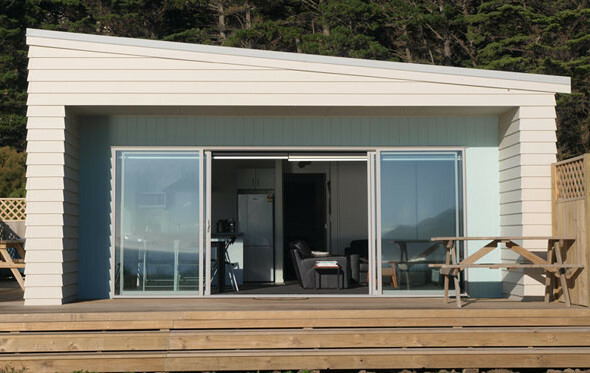 Situated on New Zealands’ remote and uniquely beautiful West Coast, this Haven Bachpod fitted the owners specifications perfectly. 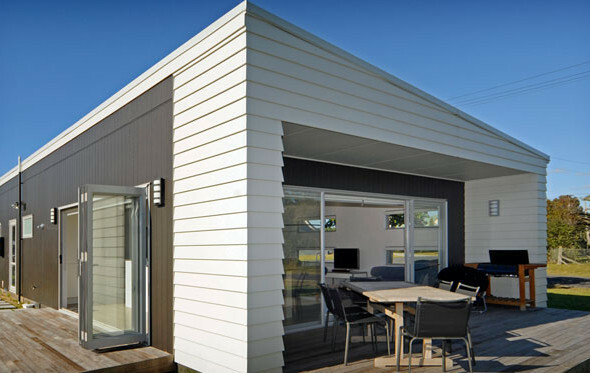 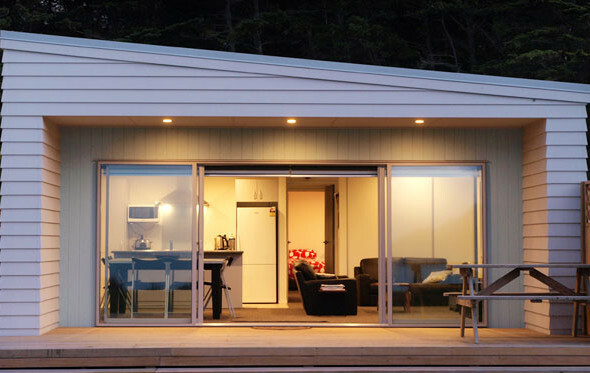 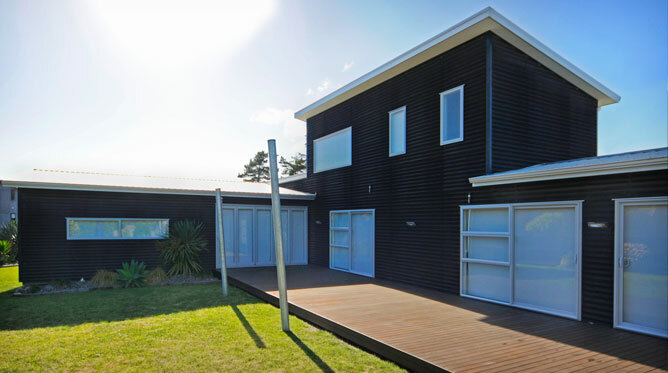 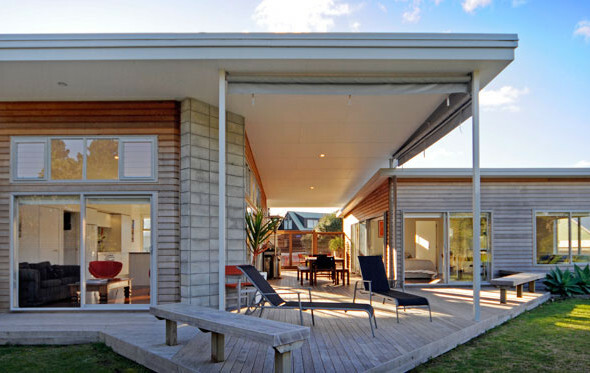 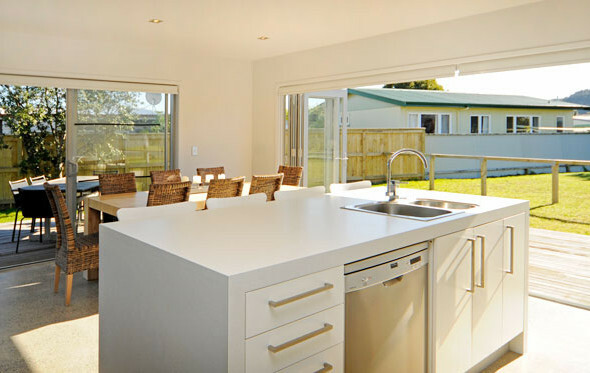 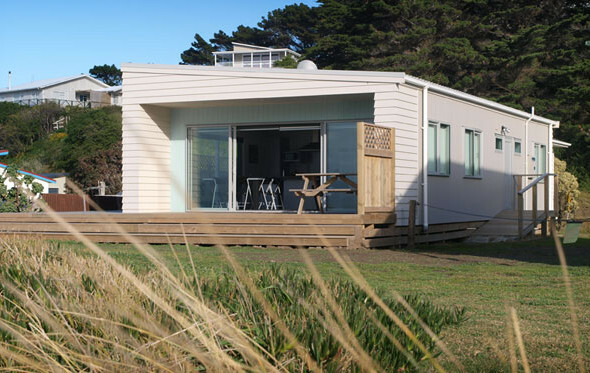 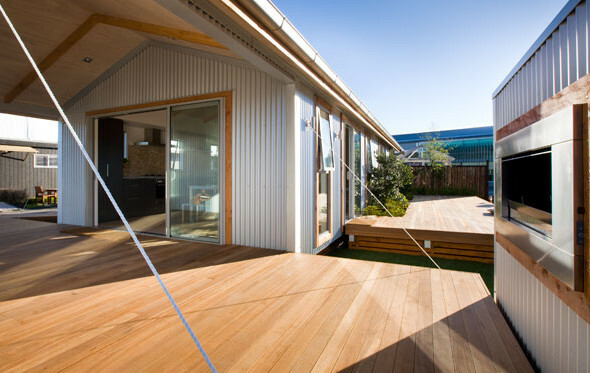 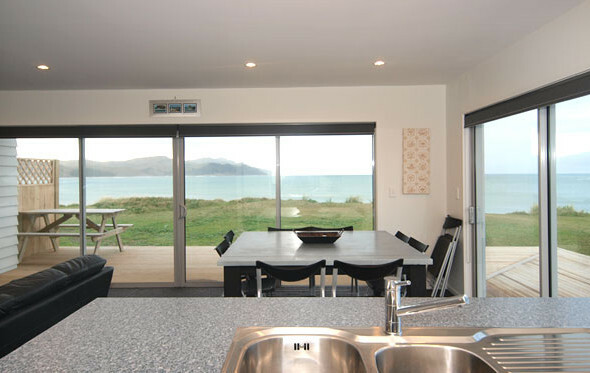 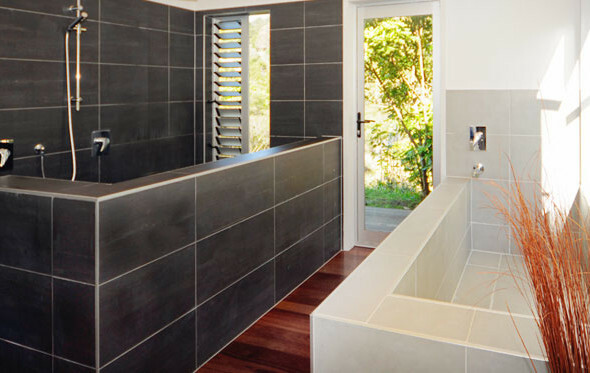 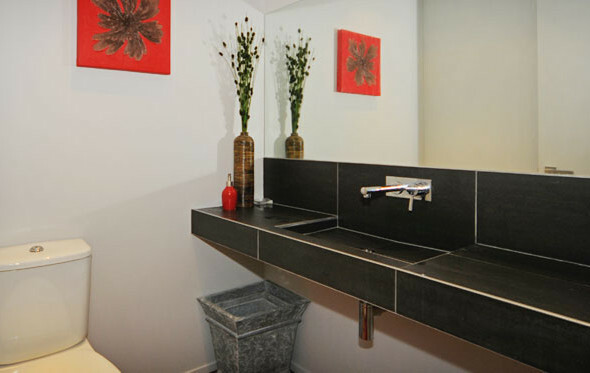 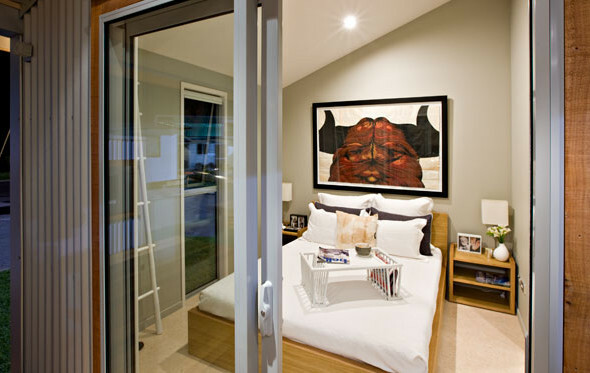 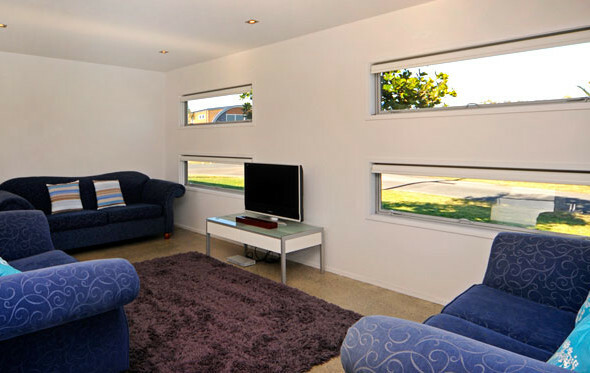 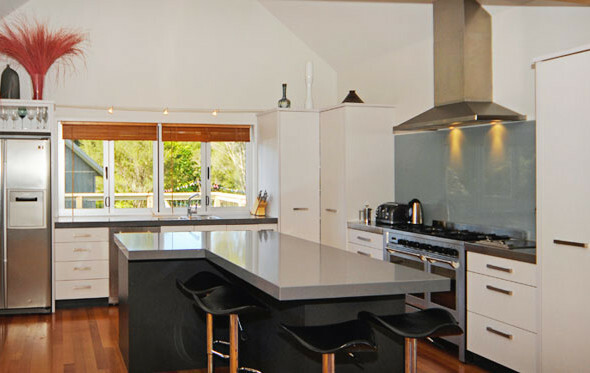 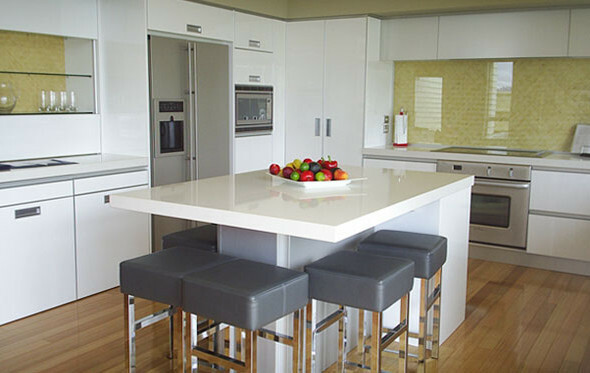 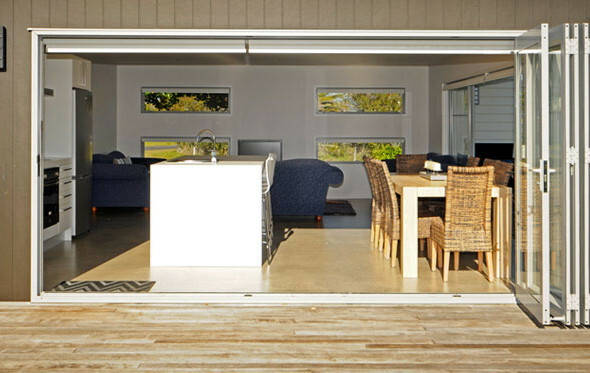 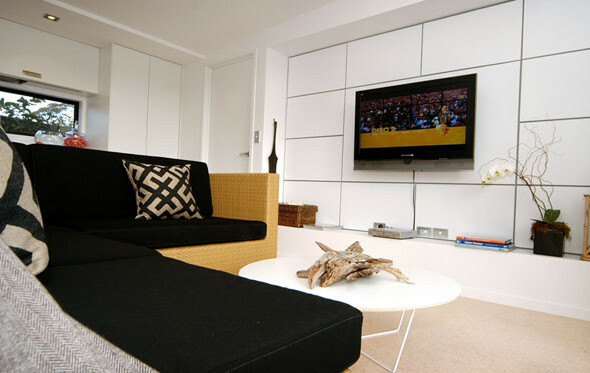 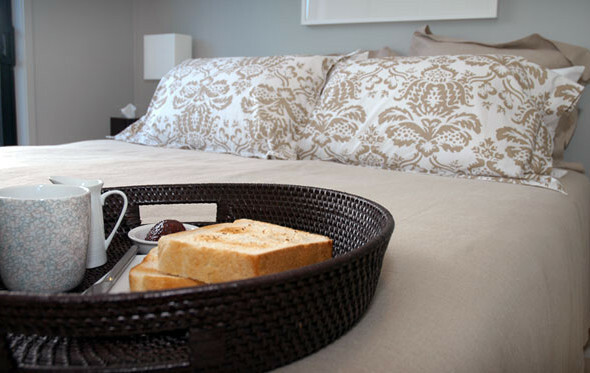 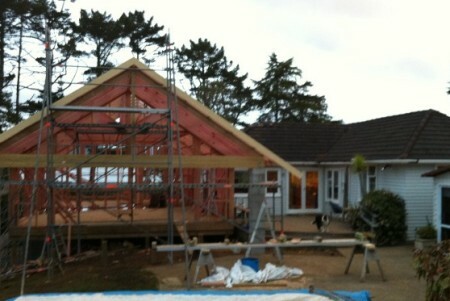 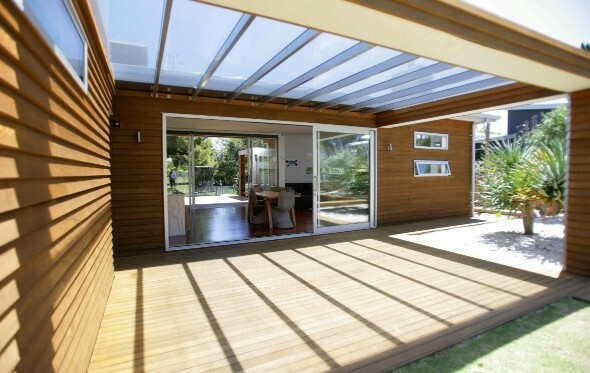 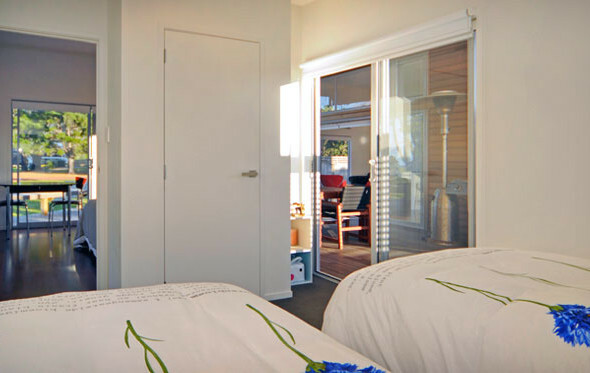 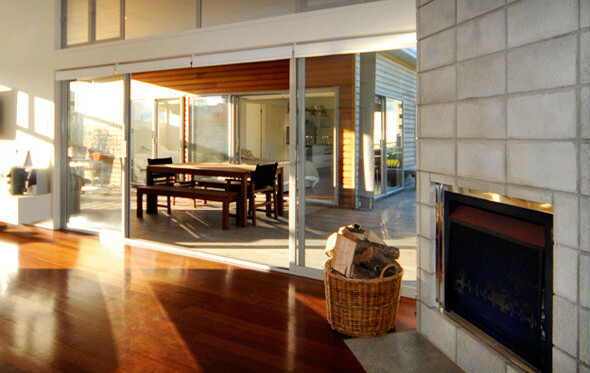 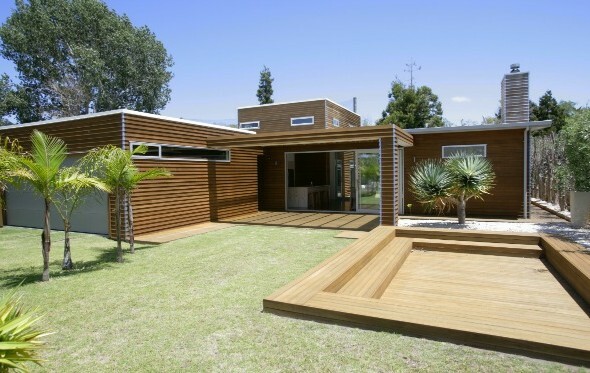 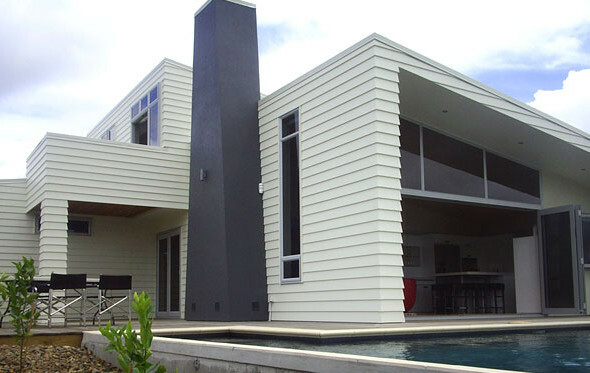 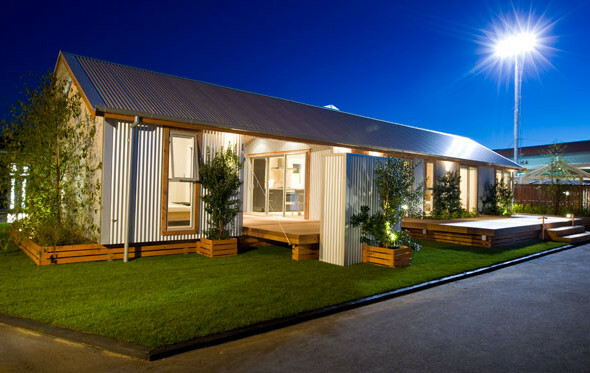 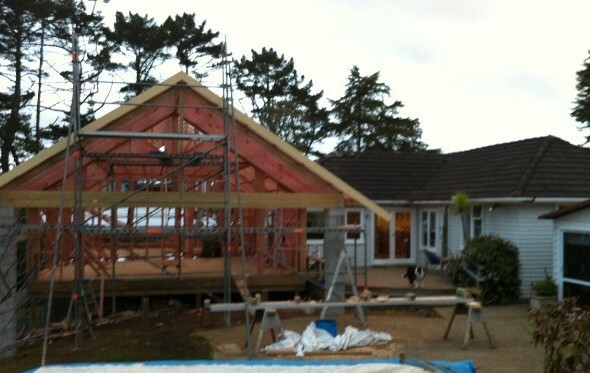 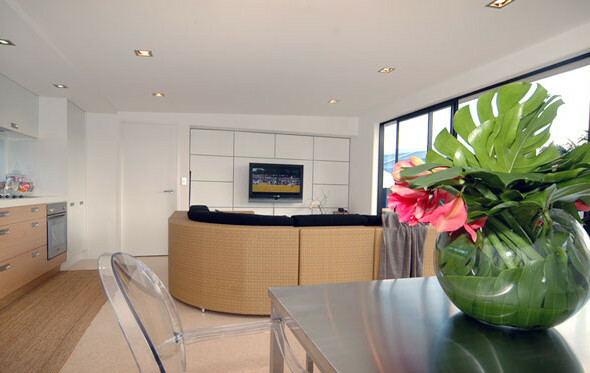 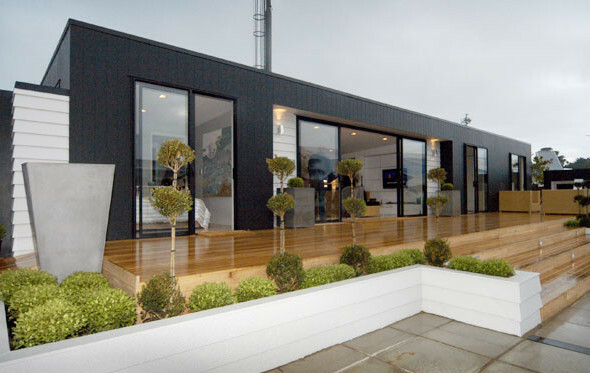 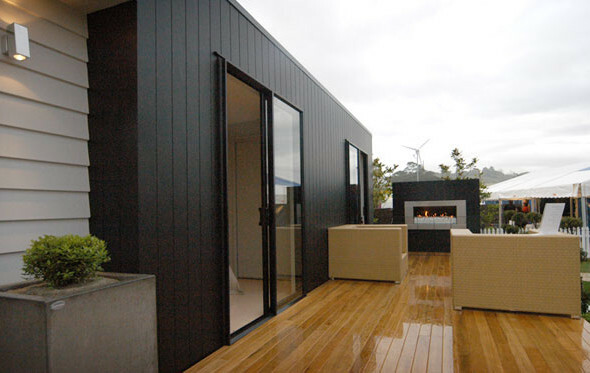 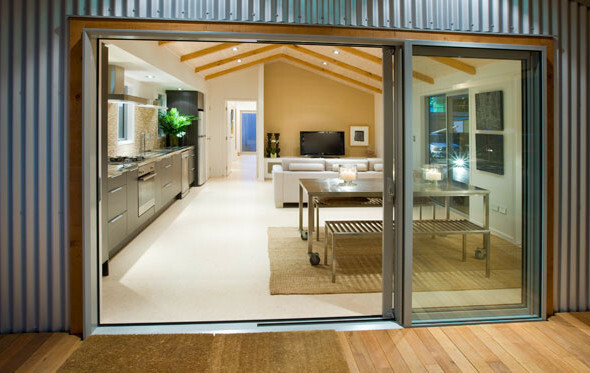 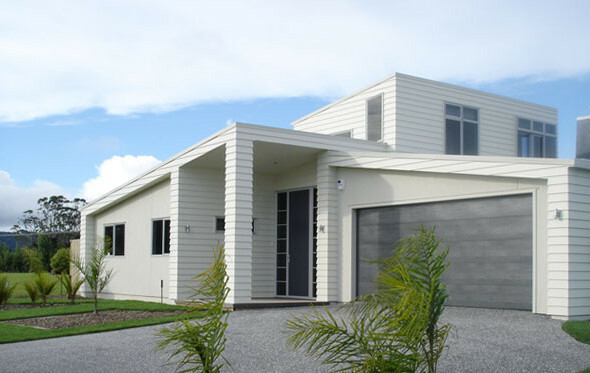 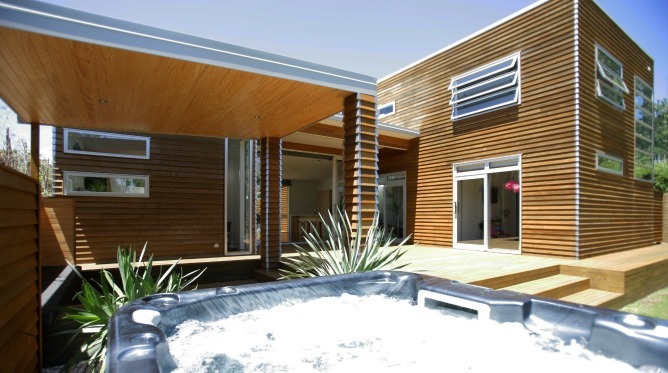 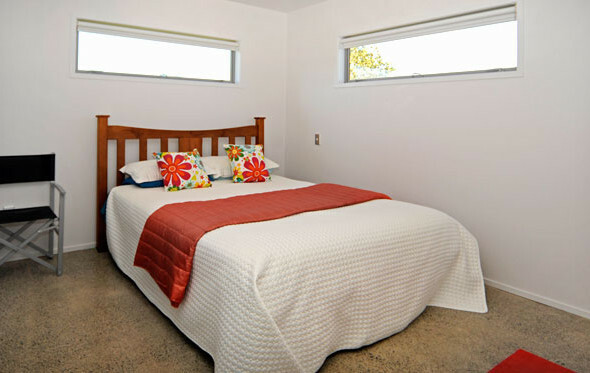 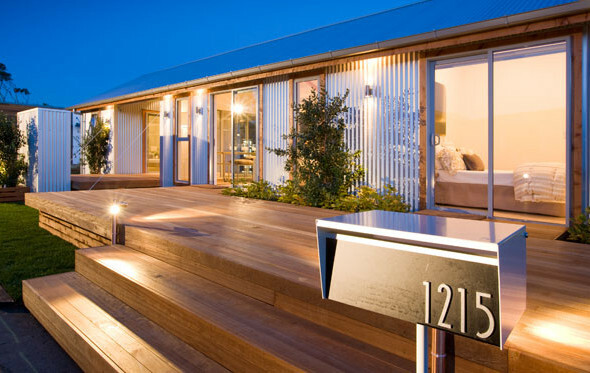 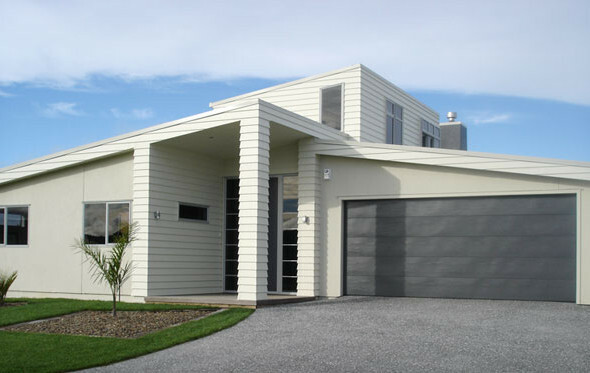 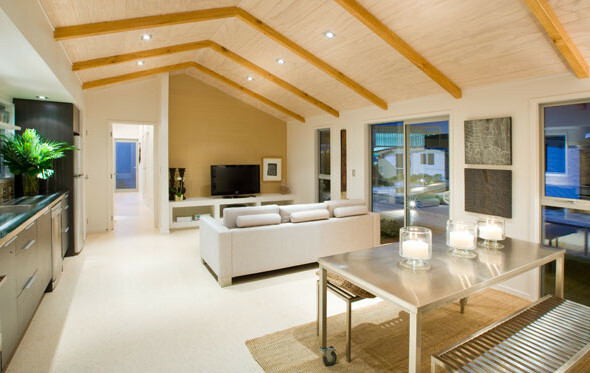 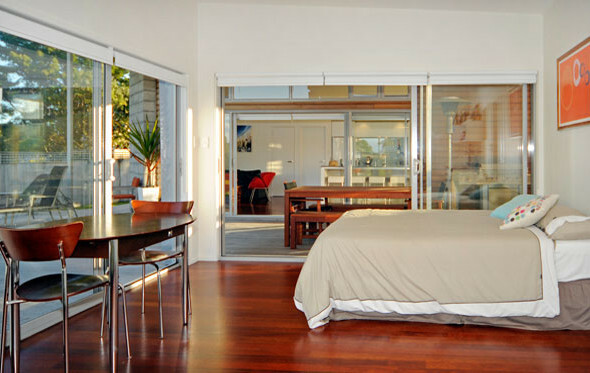 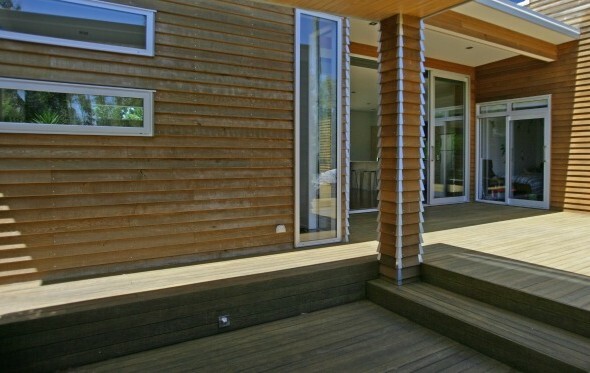 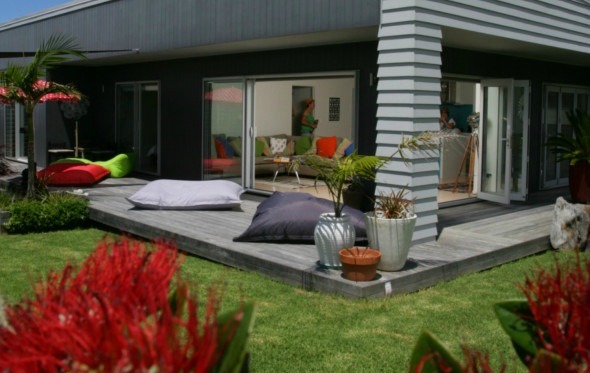 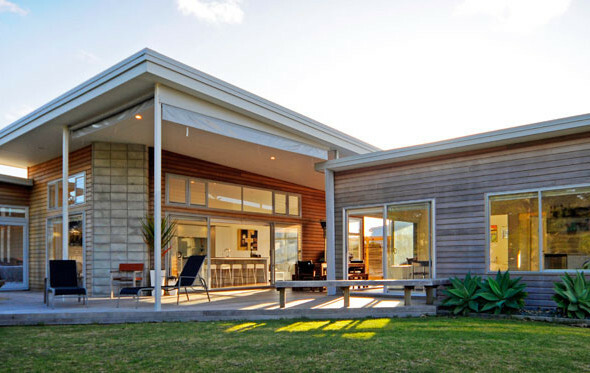 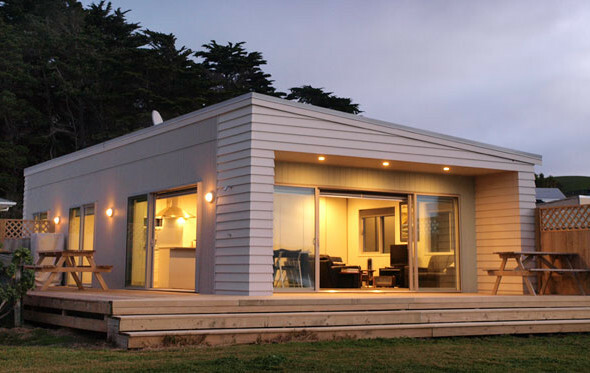 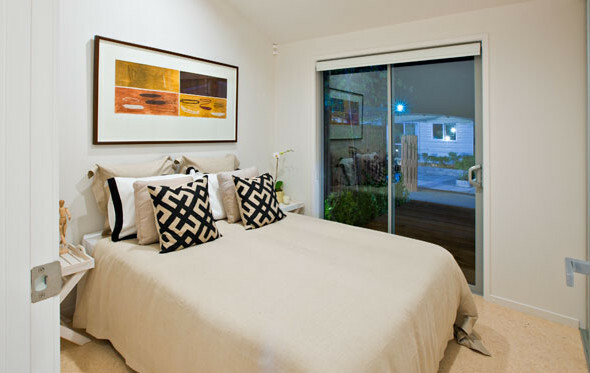 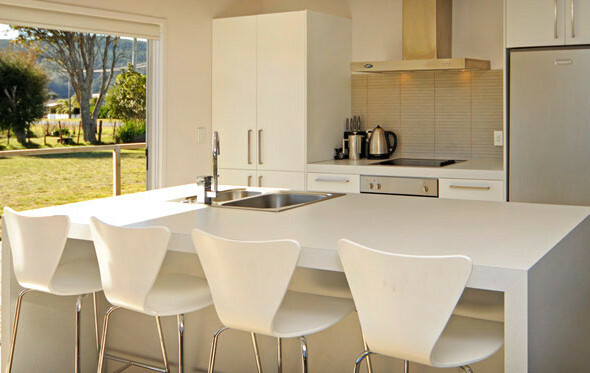 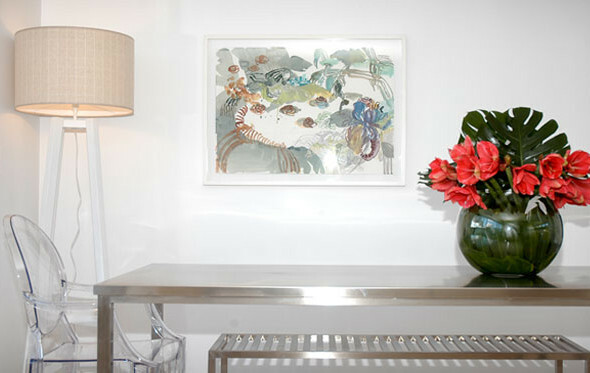 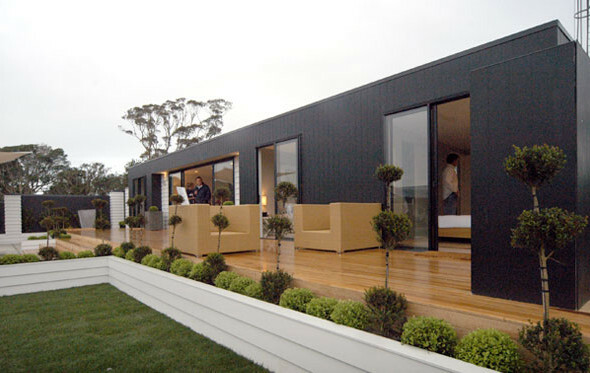 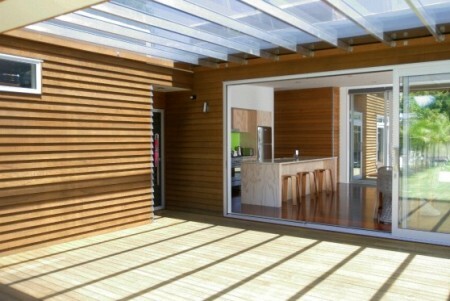 Pre-built and transported to the site, floor area in this beach retreat was strictly limited. 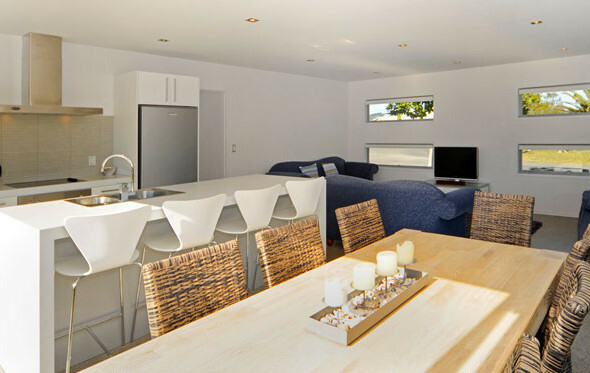 Careful and creative use of space allows three bedrooms, a separate laundry/toilet, and a spacious open plan living, kitchen and dining area. 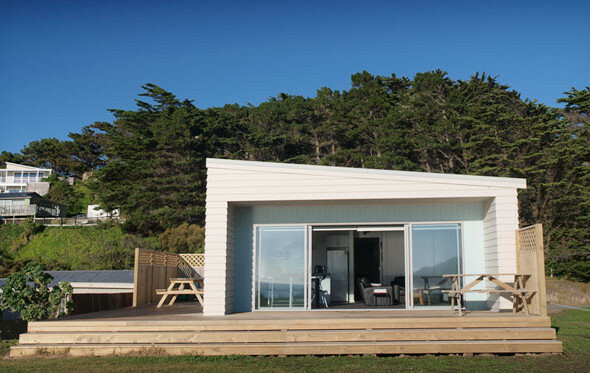 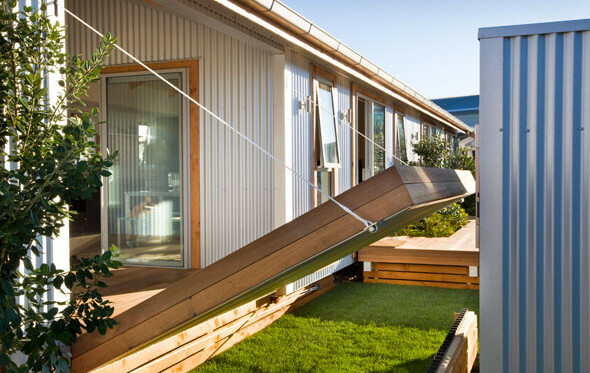 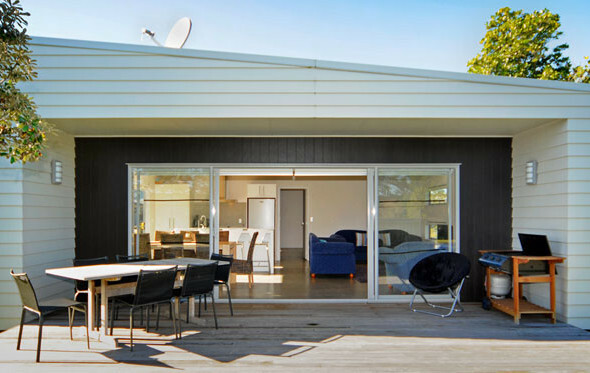 Configured to our Kiwi outdoor lifestyle, a large deck wraps around two sides of the Bachpod, allowing access from a bedroom, and providing options for outdoor living, depending on wind direction and weather conditions – an important consideration on this rugged stretch of coastline. 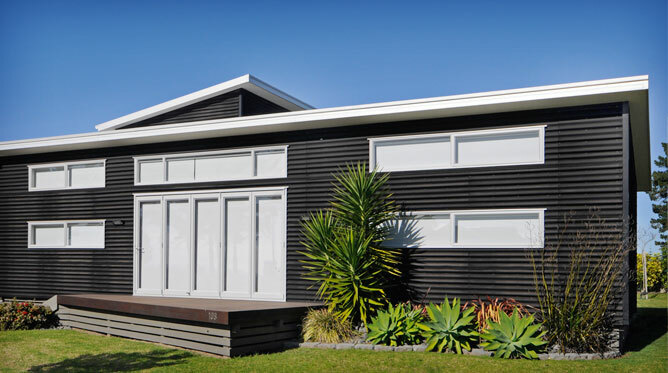 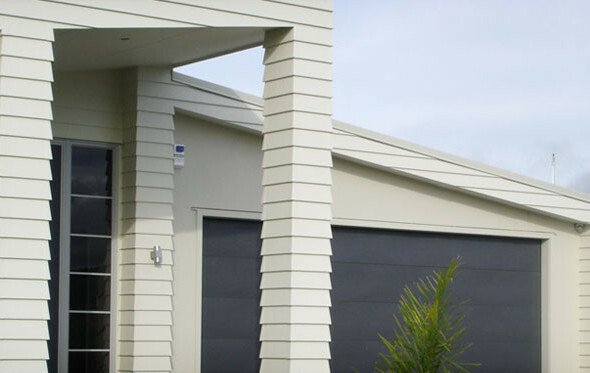 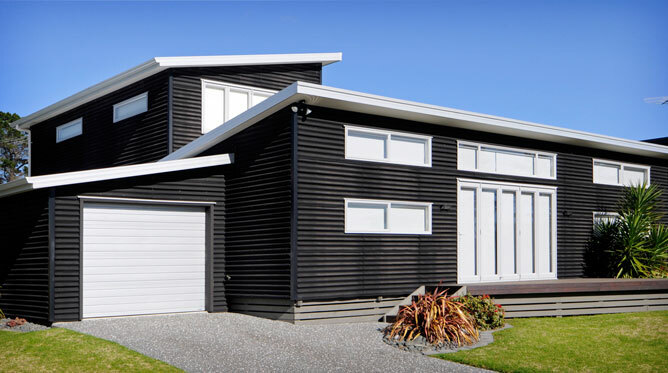 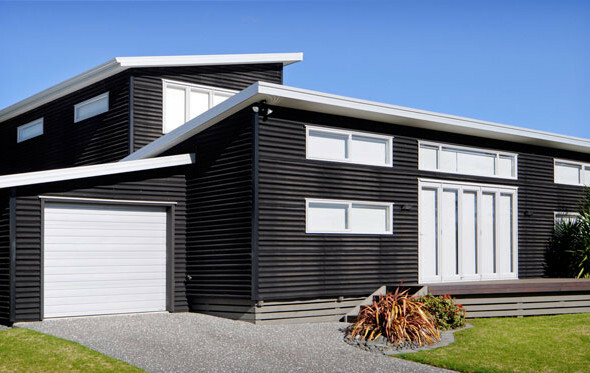 James Hardie Linea Weatherboards wrap around a deep enclosed overhang at the front, providing crisp clean horizontal detailing. 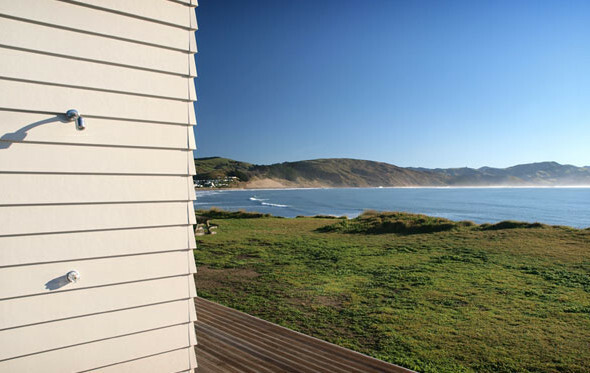 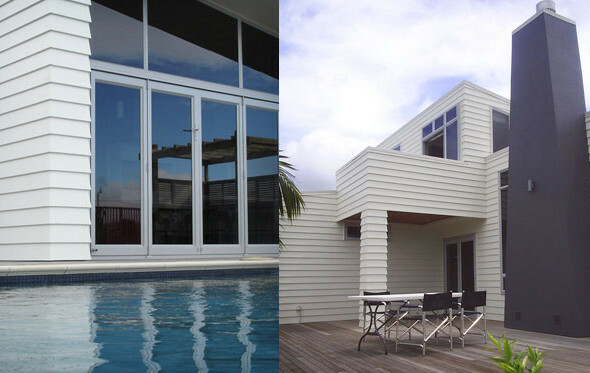 This provides a direct contrast to the vertical lines of the James Hardie Axon Panel, painted a whimsical shade of blue, chosen by the owners to mirror the stunning vista of sea and sky visible from every window.